Our Price: $19.95 Ships in 1 day. Comments: Appears unused. Clean and solid. Publisher: Lebhar-Friedman, New York, 2001. Soft Cover, 219 pages, 8 x 10. 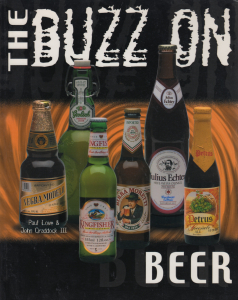 A whimsical but lengthy and entertaining look at beer, its history and modern culture in America.